The BBC thought Marina and the Diamond's Froot should have landed a nomination for the Mercury Prize which was awarded last week to Benjamin Clementine (for At Least for Now). Over the course of 2015, I have found Marina's album to be an extremely engaging pop record, enough so that it stands in the genre as a favorite (alongside Say Lou Lou) of the year. So I had to see her once more -- with the bonus of having Christine and the Queens as openers. 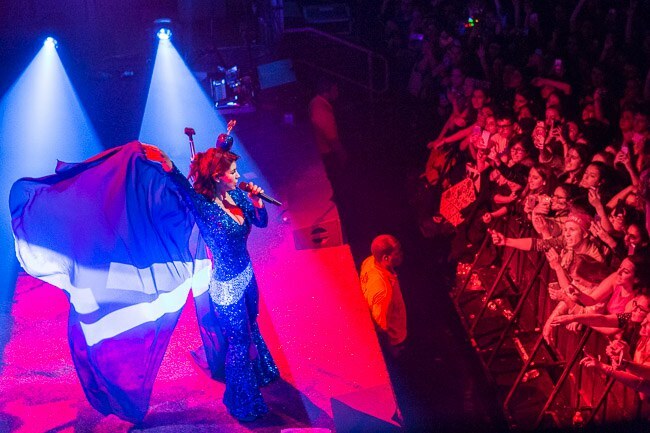 Marina's set was divided into three segments (with three costume changes) covering her albums and the performance lived up to the fierce description that Christine applied, though there were moments for glamour and passion to shine. 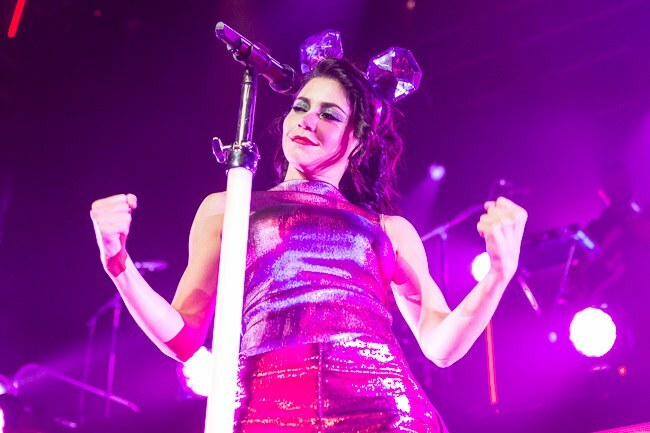 In fact, Marina's star shines bright and her iridescent pop shines brighter. 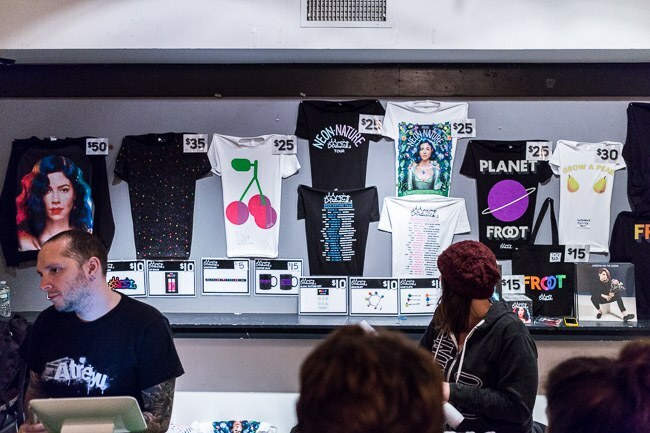 Froot is her most solid album yet with its emotional confessions and saturated imagery. 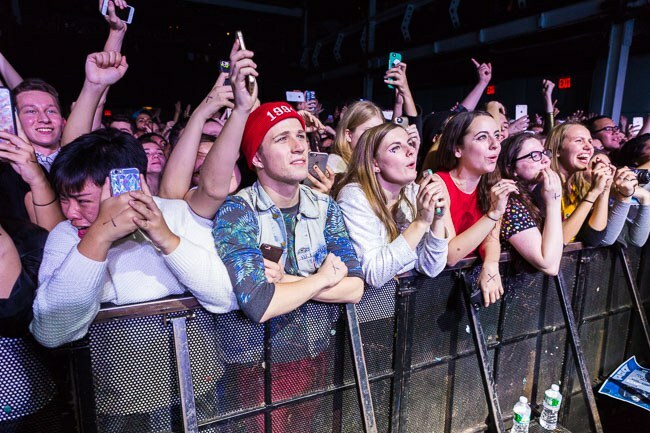 Check out photos from Marina and the Diamond's first November performance at Terminal 5 in New York below.